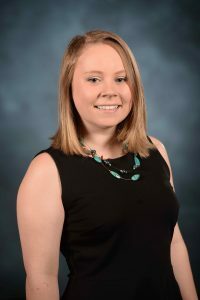 This marks the second year in a row that a student from the University of Mississippi has won a fellowship from Phi Kappa Phi, which is the oldest honor society that recognizes all academic disciplines, honoring 57 students each year from around the country. Wagner, who is pursuing a Doctor of Pharmacy degree, also receives a $5,000 scholarship as part of the fellowship. She will use the award money to pay for books and class fees, and to lessen her need for student loans. Applicants for the fellowship must first apply within their local chapter of Phi Kappa Phi in hopes of being selected as the sole applicant to the national chapter. Dr. Michael L. Warren, clinical assistant professor of pharmacy practice and recent former president of the University’s chapter of Phi Kappa Phi, knows Wagner through a course she took with him in the pharmacy school. Wagner hopes to go into pediatric pharmacy. Past Phi Kappa Phi fellows include notable names such as poet Rita Dove, Youtube co-founder Chad Hurley and two NASA scientists. Marcus Daniels of the University of Mississippi won a fellowship in 2015 for his work in biology. “My dream job would be to work in an oncology wing of a pediatric hospital as a clinical pharmacist, and I am very grateful to both the school of pharmacy and Phi Kappa Phi for supporting me in this endeavor,” said Wagner.